A major supplier of marine diesel, heavy fuel oil and lubricants to the Irish maritime industry, Emo has extensive experience in the special requirements of the shipping and marine industry. We can bunker your vessel at all of Ireland’s major ports and pride ourselves on a fast, efficient and knowledgeable service in this sector. We understand quality of marine diesel and reliability of service is paramount in marine bunkering. Our strict marine delivery procedures combined with experienced drivers means you can rest assured that your marine diesel delivery will be performed to the utmost standards with environmental and Health & Safety aware approach. 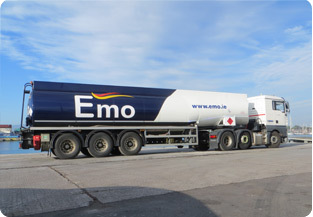 Emo Oil is part of DCC Energy which is the leading oil and LGP supplier in Ireland and the UK; this means we can provide the best price and service for you. 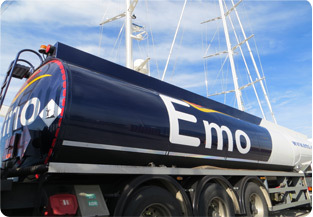 With Emo you can be guaranteed that you receive the highest quality marine diesel, we can offer both Low Sulphur & High Sulphur Marine Diesel. Our Low Sulphur Marine Diesel has no bio-content. For an express Marine Diesel quotation, please select your product type, quantity and location from our Express Quotation Engine or alternatively contact Laura by clicking on the team member icon on the right-hand side. Or you can always just call us!